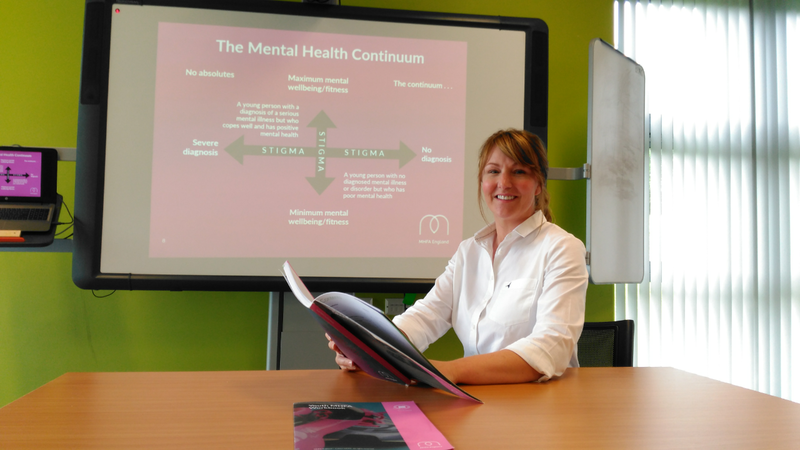 The first Mental Health First Aid course to be delivered at The Work Place, Newton Aycliffe, has proved to be a massive success. The Mental Health First Aider (Youth) course to equip people to support young people was oversubscribed by interested school staff and individuals who work with or support young people. The next course running in September is also already fully booked. More dates are now being planned. Mental Health First Aid is an internationally recognised training course, designed to teach people to spot signs and symptoms of mental ill health and provide help on a first aid basis. The course provides in depth understanding of specific mental health issues including, depression, anxiety, suicide and psychosis, self-harm and eating disorders. It focuses on the issues faced by young people such as cyber bullying and substance misuse. The Work Place hopes to deliver the course to people who teach, work or live with young people aged 8-18, such as teachers and school staff, youth workers and sports & activity coaches. The Work Place opened in 2008 as a not-for-profit conference & training venue and celebrates its 10th anniversary this year, having seen over 100,000 people come through the doors over the last year years. To find out more information about The Work Place and their courses, please visit their website at www.twpa.org.uk. Photo caption: Trainer Helen Dent delivers the first Mental Health First Aid course at The Work Place.